I was sooo happy to get Wizardry in my hands! This wonderful creation of Lexa from Glitterfingersss and Picture Polish is pure magic. 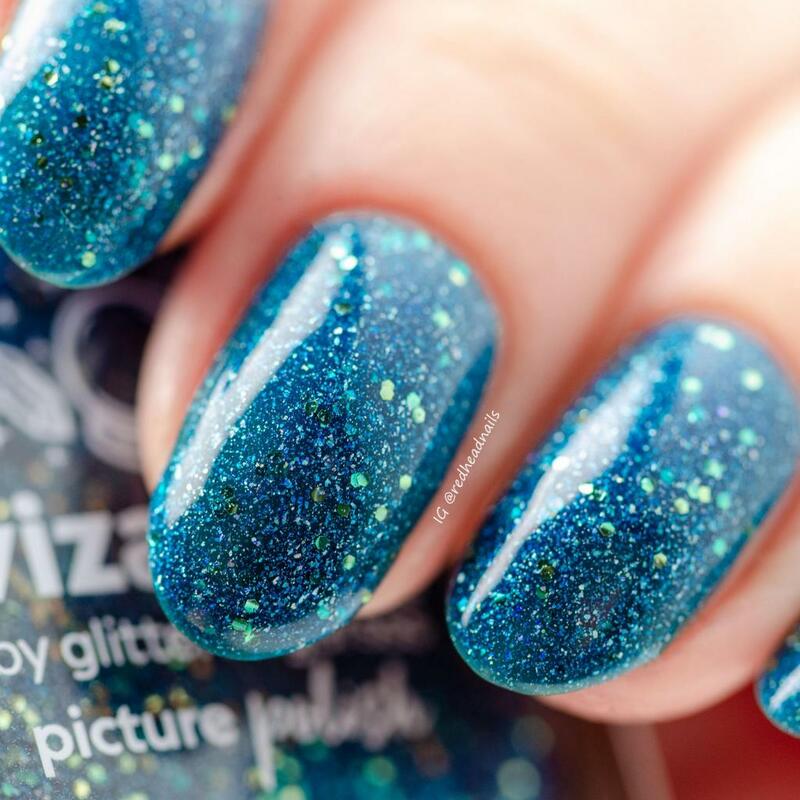 This polish basically has a jelly base, thanks to this – each coat builds stunning depth. I was wearing 2 thicker coats and it was perfectly enough. Wizardry dried textured but one coat of top coat gave it a flawless, glossy finish. 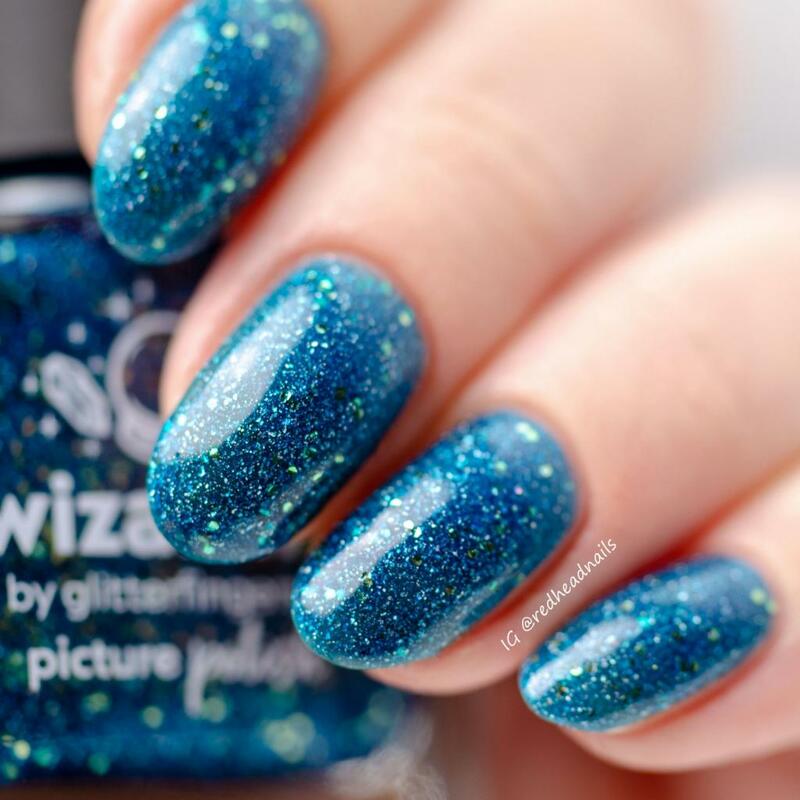 Base color of Wizardry nail polish is beautiful petrol blue. 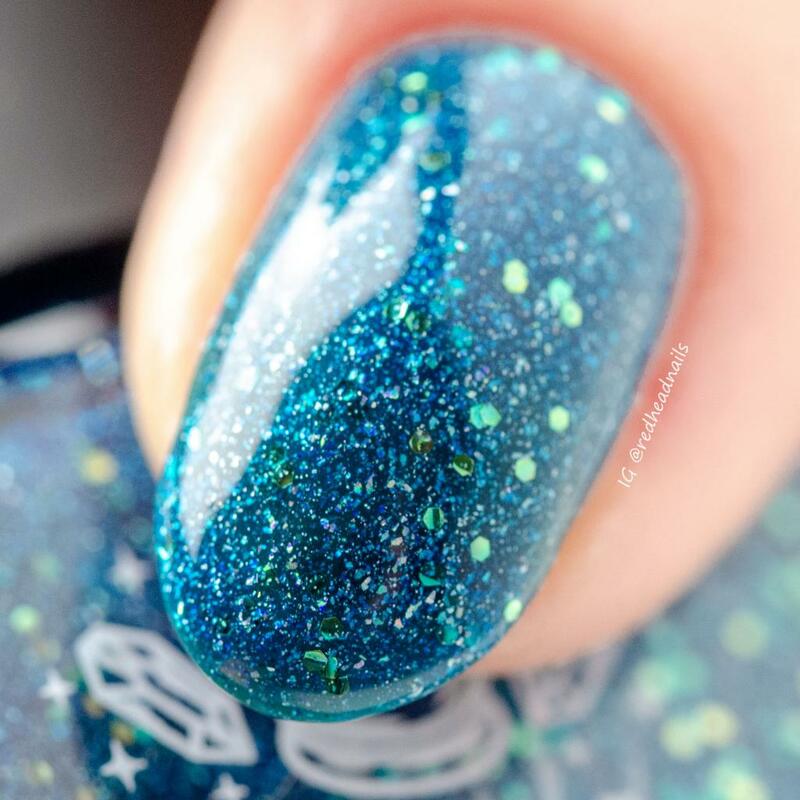 The addition of hexagonal glitters and holo flakies makes this combo really out-of-this-world! Application was nice and smooth, as always with Picture Polish. As per removing – in general I was wearing peel off base coat, as always with polish containing glitter. 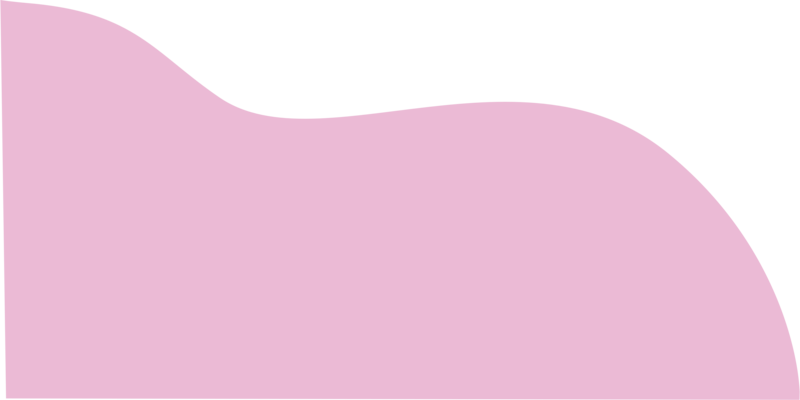 But I also made a test with regular base and removing was surprisingly easy.